Have you noticed a larger population of bees in and around your home? You have searched through your entire house and didn’t find the source of where they are coming from, and it is something to worry. Then, your search leads you to the Africanized beehive, so what do you do now? We are here to help you with handling an Africanized beehive and what to NOT do for your safety. It is often natural to get bees in your garden in the Springtime, but when it is the prime swarm season for Africanized bees, seeing a large group of them shows a couple of signs of an Africanized beehive. Africanized bees are an aggressive type of bees, so it is not beneficial for you to try to get rid of it yourself. You will end up hurting yourself more than you need to and we know you are not an expert in getting rid of a beehive. Do not try to be brave and try handling an Africanized beehive yourself, because the removal isn’t as easy as it may seem. It is often common to see beekeepers use smoke to move some bees around for them to get to their honey, but Africanized bees are a different type of bee. The smoke technique doesn’t help rid them of the hive, and it might just upset them more than you need them to be in the first place. Leave this technique for bee removal to the beekeepers and their honey bees, as those bees are probably more relaxed than Africanized bees. 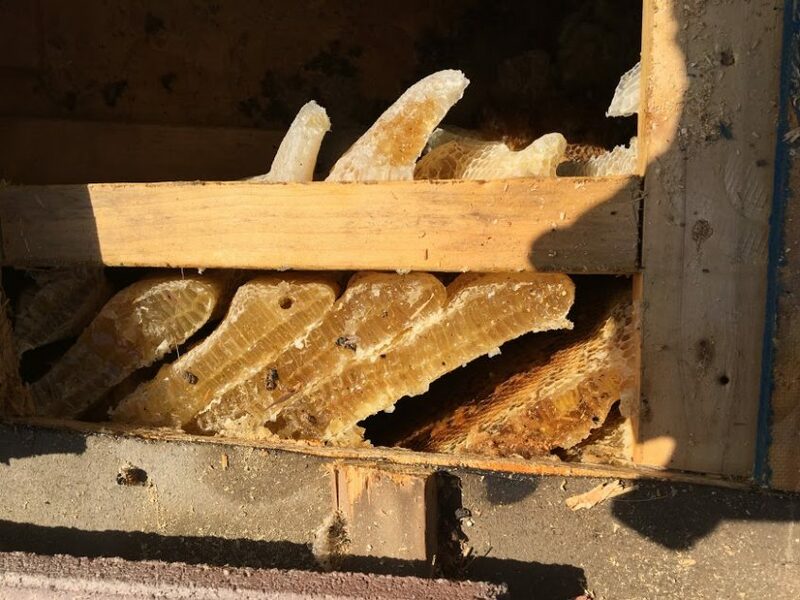 It is common for Africanized bees to make their home in the dark crevasses of your house infrastructure, and often requires breaking into the structure to remove the hive thoroughly. We do not recommend you taking a sledgehammer to your wall to get to the source of the Africanized beehive in your home. It could aggregate the hive and cause more damage to your house than needed. It is not the proper way of handling an Africanized beehive, as it could hurt the bees and cause irreparable damage to your home. Africanized bee hives can turn into a serious issue if you try to take care of it yourself. Let the experts in bee removal in Las Vegas get the job done for you. Bee Masters of Las Vegas is here to help you safely get the bees out of your home. Contact us today to see how we can help you!